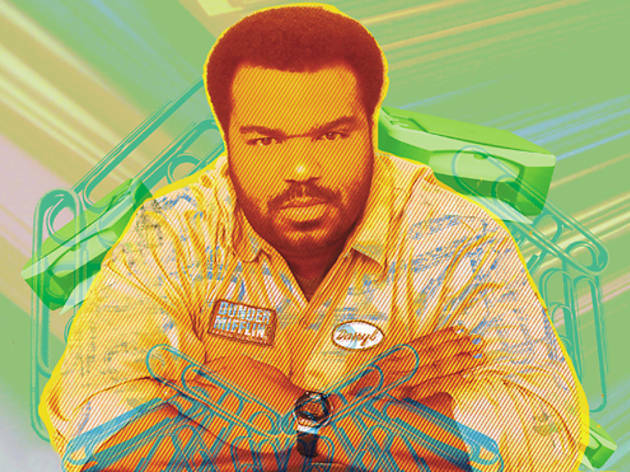 The Office’s Craig Robinson speaks with Time Out Chicago about his Chicago days. As deadpan Darryl Philbin, Craig Robinson has found that his character’s promotion on The Office has meant a bump for him as well: “This is my first season [being] in all the episodes,” says the Chicago native, 39, who taught music at Horace Mann before pursuing stand-up. “Having a ball with it.” In case you haven’t heard: On Thursday 28, Steve Carell signs off as Michael Scott. Hey, Craig, how’s it going? It’s great. I had an inspired workout where you work out and then you: “Ah, give it to me”—I did some elliptical, bike, lifted weights and then I went to the speed bagging and got into the ring. If you see me right now, you would say the exact opposite of whatever that is. How does it feel with the boss leaving The Office? You know what, it’s been funny ’cause we’ve been doing some stunt casting, we have Will Ferrell come in, so the show must go on, but definitely I’m missing Steve and his antics. He’s irreplaceable. The season’s last episode on May 19 will be the one with Will Arnett? Yeah, I was trying to keep that a secret, but apparently you already know better than me, so yeah. A little googling. So Ferrell’s just a provisional replacement, right? I know you can’t tell us, right, who’ll replace Steve? God, if I knew that, I would sell that information. Are you kidding? Nobody knows that answer. Have you ever worked in an office yourself? Yes, I worked in downtown Chicago at a law office. I was, like, a runner. I would make copies and go get the bagels, and I would run and pick up checks. I remember I had a $1.5 million check in my hand. I was walking very carefully.… I was in college, 19, 20. What ’hood did you grow up in? I grew up on the South Side of Chicago, north Beverly. It was cool, everybody’s cool on the block. We used to play football outside in the street, go shoot ball. I ended up going to Whitney Young, which is on the West Side, ’cause my mother taught [music] there. Is that why you got into music yourself? Yeah. Our house was like a rehearsal studio. We had drums, trumpet, saxophone, clarinet, piano, organ. We were the best place to go on Christmas. He’s an attorney. My father got to represent me a couple of times [Laughs], like in traffic court. He’d get you out of tickets? One time somebody hit me, so he came down and represented me. I wasn’t, like, just always in trouble, but there was a couple of times it was beneficial to have your father as a lawyer. Did your dad represent you after your [drug-possession] arrest in 2008? No, we called in the big guns for that. You used to play your music to score dates—you still do that? [Laughs] Uh, no, no, no, no. I mean, I love entertaining, and if a date happens, good, but now it’s just about the ultimate entertainment of it, entertaining myself as well as them. But you used to do that, right? Oh, absolutely. [Pauses] Okay, yes, I still do it. Where does your band’s name come from, the Nasty Delicious? You know, something is salty and nasty—but it’s good. And it’s so nasty with the way they play, and it’s so delicious with the way it sounds. Has celebrity affected your dating? I think I’m an acquired taste, so even if somebody likes me for my celebrity, they have to really like me. I think my brain just works different, but I do like to have fun. I hear a lot of girls say, “I can be myself around you,” and I’m always thinking, Who are you when you’re with somebody else? 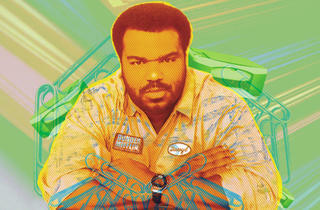 What is fun for Craig Robinson? Spontaneity. I just went to Vegas on the spur of the moment last weekend, and it turns out it was Michael Jordan’s golf tournament, which was an amaaazing event. It was crazy, you know, fun and parties. Your parents must be encouraging you to get married. The Office airs Thursdays at 8pm on NBC.